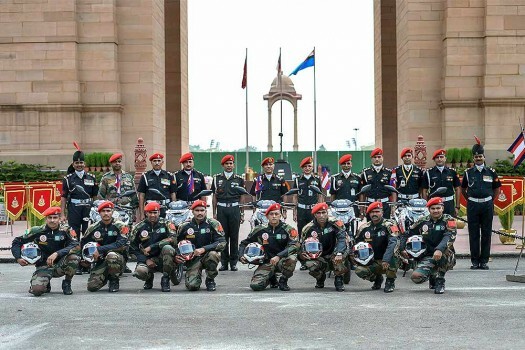 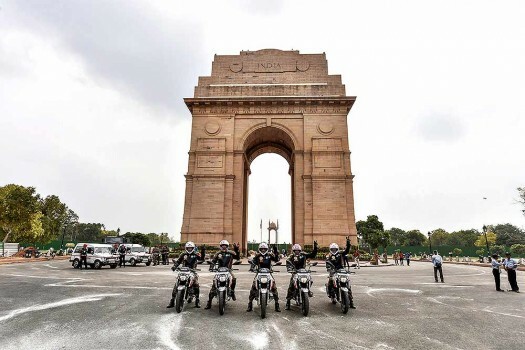 Members of the Indian Army's Shwet Ashwa team pose for a group photo at India Gate, on their arrival for the celebrations of Kargil War victory, in New Delhi. 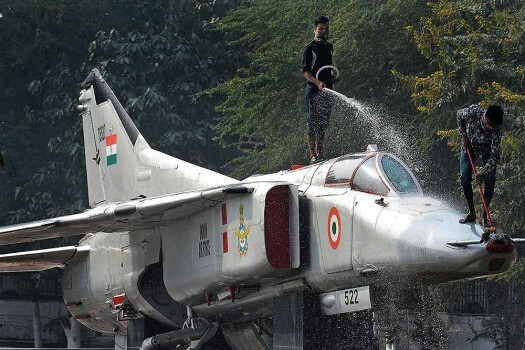 Workers clean a MiG 27 fighter jet used in the Kargil war at War Memorial site at Dighalipukhuri in Guwahati. 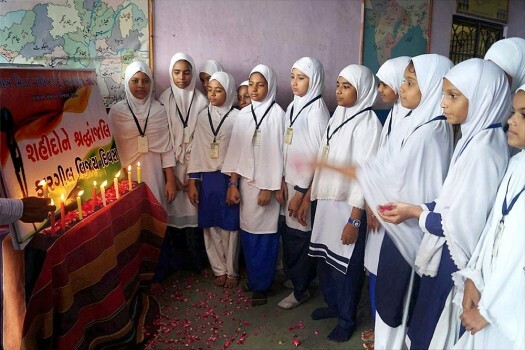 Students pay tributes to the Kargil war martyrs on the occasion of Vijay Diwas at Kargil Chowk in Surat. 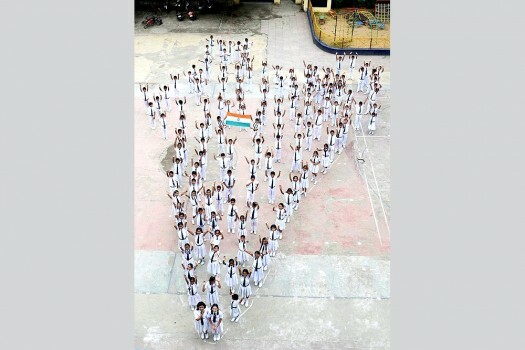 School children standing in a formation to form the map of India as they pay tribute to martyrs on the occasion of Kargil Vijay Diwas, in Jabalpur. 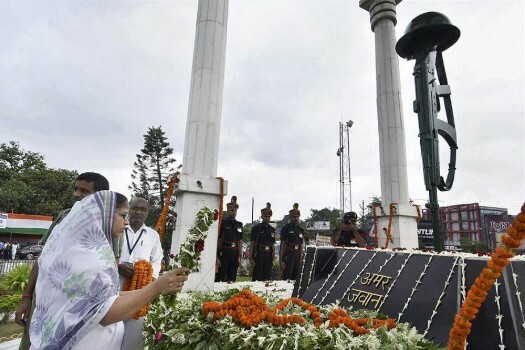 Kargil war martyr Ganesh's family member pays homage to the martyrs of the historical Kargil war on the occasion of Kargil Vijay Diwas, in Patna. 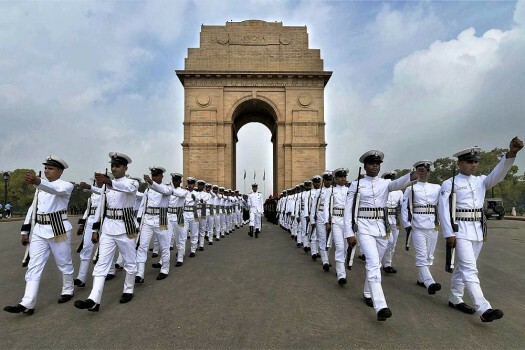 Navy jawans leave after Kargil Vijay Diwas function at Amar Jawan Jyoti in New Delhi. 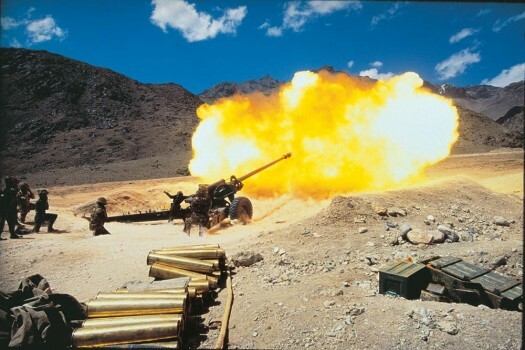 Recalling the intrusion, Lt. General Puri said Pakistan's aim was to internationalise the Kashmir issue and change the alignment of the Line of Control in the Kargil sector by opening the conflict against India.